When discussing SEO metrics, the first thing that often comes to mind is getting high rankings on the first Google search page. At least that is what many a layman will tell you when asked about the ultimate purpose of investing in SEO. 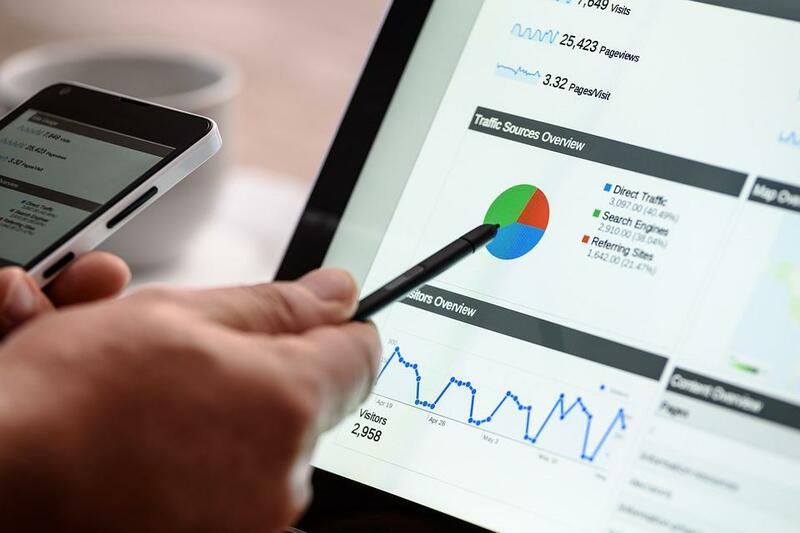 Although this statement has grains of truth to it, tracking SEO metrics is actually a much larger endeavor that requires keeping an eye on several parameters. All of this is done with the aim of making your website easily recognizable and accessible for both search engines and your audience. Since you don’t want to waste your time and resources on partial efforts, keep on reading this post about how tracking essential SEO metrics will improve your website’s performance in the long run. Tracking organic traffic metrics means checking the lifeline of every self-respectable website – the traffic you earn for yourself by appearing in SERPs without having to pay for it. Take note that while there is nothing wrong with paying for this, you’ll surely want to get insight into the numbers of visitors that come to your website prior to and following the implementation of your SEO strategy. Keeping track of this metric can be further expanded into two directions, meaning tracking organic traffic by landing page and by location. Checking your performance at the level of the page will help you discover weak spots in your overall SEO strategy. You can discover, for instance, that some pages rank well while others perform poorly, pointing you to focus your attention on the ones that lag in performance. Tracking your organic traffic by location is another important consideration, particularly if you plan to enter a new market or you want to target an audience from a specific region. Examining this parameter will show you how “popular” your website is in individual countries. Gained insights on this will help you optimize your SEO strategy for particular geographical regions, particularly if you discover that the majority of your organic traffic comes from countries (or even cities) that hardly bring cash to your table. Keywords act as the actual “key” that opens every door to long-term SEO success. Determining what keywords your website ranks for means being able to tailor your SEO strategy in the most efficient manner. Doing this properly also means being able to direct your efforts in the needed direction. If one keyword has good rankings, this will easily translate into better general rankings of your website, particularly for long-tail keywords. Checking keyword ranking will allow you to test whether your SEO strategy is as waterproof as they tell you. If for example, you detect a general improvement in your SEO that does not correlate with a similar trend with your target keyword rankings, you may have to rethink your keyword selection strategy. For starters, you can try to go for a less competitive keyword and attempt securing better ranking for it. In addition to organic traffic, tracking engagement metrics will allow you to learn more about how your SEO efforts impact the manner in which the audience interacts with your website. These metrics are bounce rate, time-on-site and pages-per-visit. As its name suggests, bounce rate tells you how many visitors “bounced away” from your website as soon as they viewed one single page. You’ll want to see this value kept in low percentages. If your bounce rate is high, this usually indicates a mismatch between the keyword entered by the user and the content your website provides. This points to the need to engage in detailed on-site SEO work that will help you keep your audience where you want them to be. This involves restructuring links to your content or redesigning your webpage elements. You can also examine your landing pages, as you can easily discover that some of them make your visitors bounce away more compared to the others. Examining the time-on-site metrics will tell you more about the average time the visitors spend on your website. The pages-per-visit metric denotes the number of pages your visitors access before they leave your website. Bear in mind that having better metric values with these two can impact your overall SEO rankings, as the search engine algorithms will interpret it as the audience showing more love for your content. Keeping your bounce rate low at the same time will also account for better rankings of your site. Design your SEO strategy around the outcomes of your long-term tracking of these values. Tracking conversions/events can be another vital metric to track as part of your SEO efforts. Unlike previous metrics, these goals can be set as parameters that you define yourself – they can include tracking of various actions, such as sales of products or services, clicks on particular ads, making your users visit specific pages or having them sign up for your newsletter. Once set, you track these metrics via Google Analytics. In case of conversions, you’ll be able to monitor their origins, such as being related to your organic traffic or e-mail, or track their financial value as e-commerce websites often do. If you have a page with several buttons that allow your visitors to complete a particular action, such as buying your products or services, your SEO team will welcome insights into which of them receive more clicks compared to others. This is done via event tracking. For some web owners, optimizing websites for easier tracking of the metrics such as conversions can be as important as using SEO in order to improve its visibility in SERPs. This is related to the fact that having a targeted audience that regularly comes to your website is more important than having your visitors come in droves with little or no conversion rates. Thus, having fewer visits that result in more frequent conversions becomes more important than getting more visitors with fewer conversions. Make sure that your SEO strategy reflects these priorities when planning for the tracking of key metrics. Tracking SEO metrics means being able to make the best use of your current SEO strategy. Focusing on key parameters will help you identify weaknesses in your overall approach to making your website more visible and profitable in the webosphere. Tracking data on keyword rankings, organic traffic, engagement, and conversions will help you make informed decisions about how to make these insights a key component of your business success.